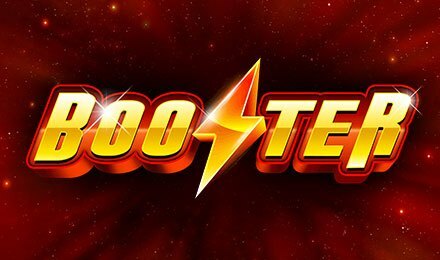 ISoftBet presents to you a classic themed game, Booster slots. Loaded with great graphics and top features, this slot game consists of 3 reels and 25 paylines. The gameplay is smooth and fresh, and will dive you into an innovative gaming experience. If you want to try the game, you can do so on either a tablet, a laptop or a mobile phone at Vegas Spins. Bars, Stars and 7s are the symbols which will make your game even more fun. On Booster online slot game, you will find the auto-play feature. By choosing this mode, up to 1000 games can be played on their own, while you can sit back and relax. Bet Levels: The Bet Level option is not available on this slot game. Amount of Paylines Selection: The 25 paylines remain fixed throughout the game and cannot be changed. Coin Values: You can select any stake which range from £0.25 to £50.00 by toggling the Bet Field. On this retro themed slot game, you will find bonus symbols which can only make you achieve higher wins. These magic symbols can award top prizes!